The Rails had a double meet week just after the Thanksgiving holiday. They hosted Valley at home at Tuesday (11/27) and traveled to SE Polk Thursday (11/29). Valley was a chance to see some of the best competition in the state and the score reflected that impressive squad – a 122-47 loss. However, it was a great chance for some of the Rails state hopefuls to race against their qualifying competition early in the season. The biggest highlight of the night was Reid May earning his Sub :60 shirt!! 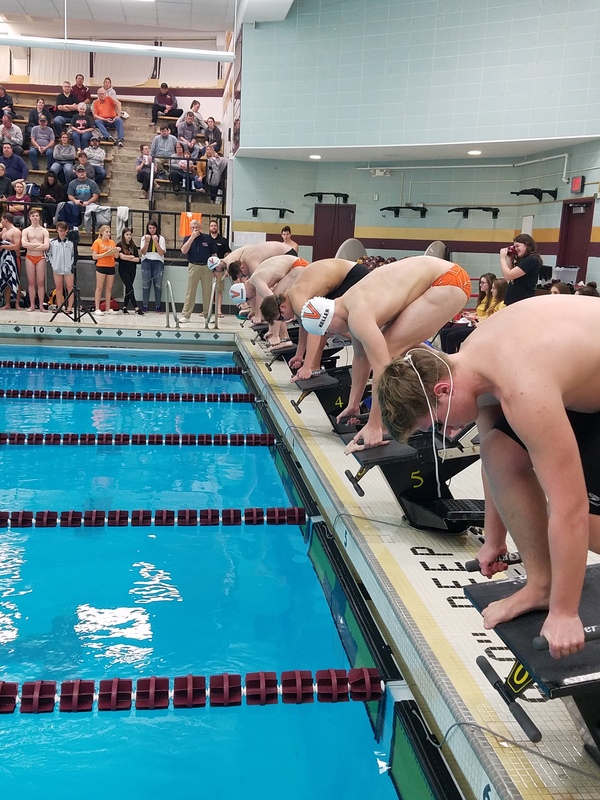 Meanwhile against SE Polk, the Rails had a really good meet, despite the fact SEP won the meet 99-71. The guys won 5 of 11 events, which is particularly important for the team’s season goals. But most exciting, was the “bests” swam at the meet. At least, 20 varsity races were a season best, untapered best or personal best times! While we can’t recognize everyone, here’s just a few highlights! Below are just a few photos from both meets. Upload your own to the team’s Shutterfly photo website (log-in required) to share with other families and for future articles, programs and social media.